One of our specialties is making movies. Our group has about 15 films under our belt, and hundreds of very short videos. Many of these films were originally in circulation via film festivals and watched by thousands around the world in theaters. Today these films are available on a number of platforms and can be viewed on many different devices. Here’s an overview of where you can view our work. We annually produce films for the Fly Fishing Film Tour. 15+ long form titles, free viewing for prime members. Digital rental and purchase options for TV, Tablet and Smart Phones. Many of our short and long form titles are available for free, rent and purchase on Vimeo. Many of our short from videos are on YouTube free of charge. You can view many of our films on CarbonTV, Waypoint TV, etc. Most of our titles are available on DVD via our online store. We believe in creating dynamic and comprehensive campaigns for our clients. We firmly placed Dubai’s fly fishing scene on the map in 2018 by brining the city and fishing to core audiences in +170 theaters, 6+ major publication features & articles, social media campaigns and a final launch on Amazon and other .TV channels. If you want to connect with your demographic in theaters, TV, Smart Devices, online and in print, this is what a successful campaign looks like. 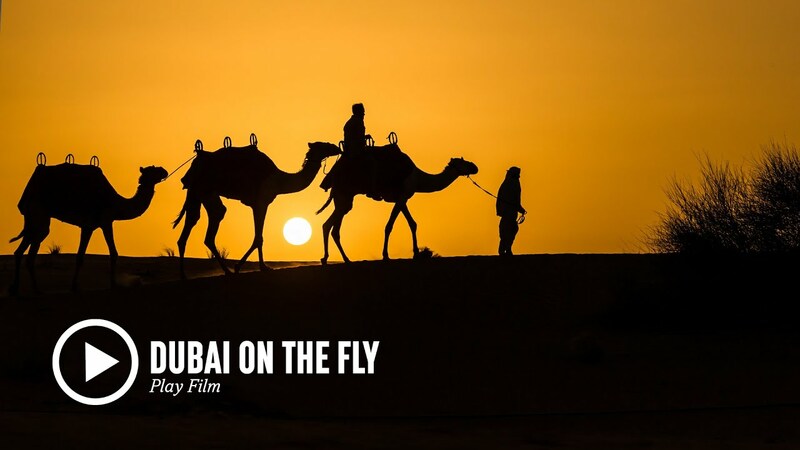 Our team traveled to Dubai twice to produce the media assets needed for this film and campaign. Pre-production took over one year. This film is was published on our Amazon channel and a few specialty .TV channels, but the most exciting and engaged viewership came from the +170 cities where crowds of passionate anglers viewed this story on the big screen. In addition to the film, our PR and writing team brought this story to life within the print and digital pages of Conde Nast Traveler, Fly Fisherman Magazine, Gray’s Sporting Journal, Stonefly Magazine, The Mission Magazine, This is Fly Magazine and more! We believe our work speaks for itself. Recent media samples below. Detailed project profiles are posted the The News section of this website. We believe a diverse range of talents and personalities bring creative skills and ideas to every project. We can help you develop and execute a media campaign from concept to delivery. Need high res print images or video to power your marketing machine? We have stock libraries from around the world – and if we don’t have what you need – we’ll shoot it! Our graphics team is experienced in many levels of design: print, web, logo and animation are just the beginning. Our copywriters are very experienced, thorough and, well, darn talented. With no project too small, our developers can assist with simple wordpress site creation to custom development on all leading web platforms. With proper understanding, planning and execution – social media platforms can provide great ROI for many businesses. Our team is to available assist with social strategy development and implementation. Professional costume and production design can make a tremendous difference in media production. Our experienced team is detail oriented and ready to take any production to the next level. With a dedicated audio engineer, studio musician team and one of the largest royalty free music licenses available – we can create, engineer or track down the best audio in business. Pairing the perfect voice with well written voice over is no small task. We understand the process and have access to a broad assortment of voice over artists. We believe in a diverse range of experienced personnel to bring creative skills, thoughts, and ideas to the table. The concept behind off the Grid Studios was conceived in a high-desert juniper grove outside of Bend, OR - where the original studio was built - overlooking the wild Central Oregon landscape. It was here, immersed in the wild and our outdoor passions, that we merged storytelling, cutting-edge technology, art and sustainability. We assembled a network of talented people from around the world to take the creative process from concept to fruition. As the Off the Grid Studios concept has evolved, our studio needs have changed and inspired the creation of a solar powered mobile Airstream studio. Lola is her name, and the build is nearly complete. Everyone has a story to tell. What's yours? Over the past five year’s we’ve produced three very different films with storylines that are all woven together into a body of work that takes the viewer on an international adventure into the depth of the unknown - exploring not only remote wilderness locations but also the digging deep into the heart of what it means to be an angler, a father, a brother, a friend. A real human being. The trillogy will be released throughout the month of May starting with The Scorpion Expedition, Alaska: Frontera Norte and the final film, Corazon. Click here for details.